Ballard is an agent for SURVIVAL. As his cover, he is also a reporter for a large magazine, sometimes working as a roving reporter and sometimes as a bureau chief in Washington. In this capacity, he travels the world and sees a considerable amount of action. He is also a member of SURVIVAL, an orgainization founded in White Plains, New York, right after the end of the Second World War when a group of scientists met to discuss the fact that with the existance of the nuclear weapon, the world had changed forever. They felt that while there was little they could do to stop any war between the U.S. and the U.S.S.R., they might have luck in tempering situations elsewhere in the world. They dedicated themselves to that end and created the independent agency. Its leadership is made up of wealthy people of like thinking who provide the financial wherewithal to pay the hefty bill. One of the members is the publisher of the magazine that Ballard works for, and thus his ability to go where needed when needed. With the power and resources of the members, the agents of SURVIVAL had everything they need to get the job done except manpower. There is a limit to the number of people a secret organization can have and still remain secret. And the forces aligned against them are virtual without limit to their people and their determination. 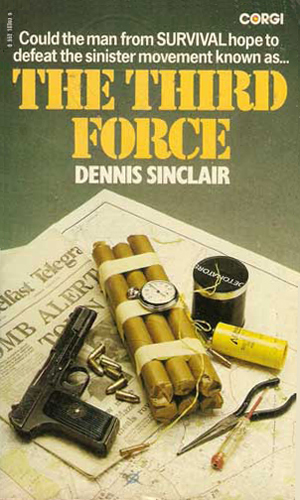 As the series opens, Ballard is leaving a Moscow bureau which he headed to take on different assignments around the globe, both for his magazine and for SURVIVAL. 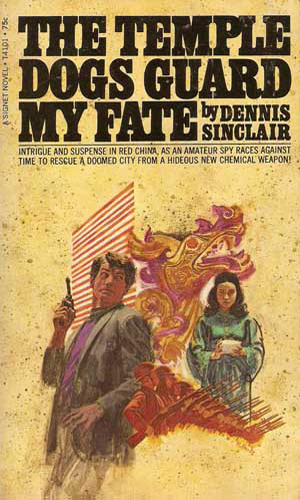 When a Russian member of SURVIVAL finds himself trapped in Red China, it is Ballard's job to rescue him. Help is available in the form of Ballard's ex-wife who is part of the Hong Kong underground and might not be trustworthy. Bored with a lack of activity, Ballard is covering a situation in Europe that threatens to burst into civil war when he realizes that there is a group working behind the scenes to make sure war happens. Several Japanese businessmen have been kidnapped and staked out naked in the Australian desert as the first move to stir up old hatreds and there are many Japanese that are just as anxious to reply. 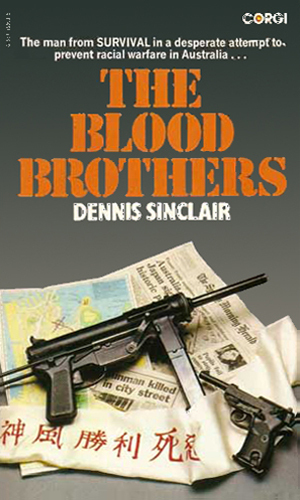 A member of SURVIVAL as well as a wealthy British aristocrat disappears shortly after his wife and child were murdered. 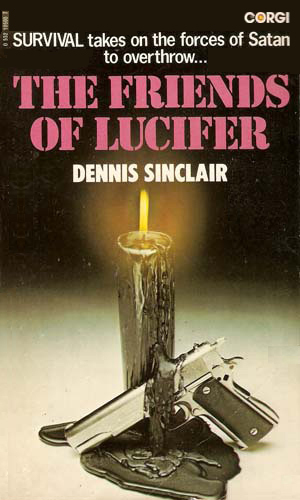 When Ballard investigates, he finds a strange cult of devil worshippers behind a strange plot. I found the overall concept of SURVIVAL to be a bit forced but the adventures that Ballard finds himself in are quite enjoyable. The writing style is also a notch above expectations. The characters are well thought out and presented nicely. The plots are standard but the human element makes them different cnough to be enjoyable. The gap in the publishing history is interesting and makes me wonder if the author had trouble getting them to print, didn't feel like pushing it, or maybe wrote the first, stopped for a while and then took it up again.